Going on a holiday off-season can be very appealing. Experience the best of St Ives without the summer crowds during the Winter months: Surfing on Porthmeor Beach, just a stone-throw away from your luxury accomodation, strike out on windswept coastal walks and end your day by a wonderful evening in one of the award-winning restaurants in town. Then hunker down in your cosy self-catering apartment footsteps from the sea. Winter breaks in St Ives are wild, romantic and energising. This is the best time of the year for your four-legged friend as all the dog bans are lifted and your best friend is free to run and explore the wonderful coastline of Cornwall. To celebrate this time of the year, we are offering all hounds a free stay with us in our dog-friendly accomodation from 30th November to 20th December, so everyone can have the holiday they deserve. The Christmas magic of St Ives will start on the 1st December with their fantastic light show on the harbour front. The whole town gets together to celebrate the festive season and welcome Santa Claus arriving on his boat. Angarrack Christmas lights are one of the best-known and most popular displays in Cornwall, with visitors coming since 1986. The whole village is lit up each December by the villagers and the display depicts the 12 days of Christmas ! With a number of Christmas Markets taking place around Cornwall, you will have many occasion to finish your Christmas shopping list. For the food lovers, Fowey Market is one of Cornwall’s most well-known Christmas events with quality locally produce food and drink and festive gifts. Building on from what was the Victorian Christmas Market The Winter Gift Fayre in Truro is also one of the most popular christmas market in Cornwall. This market knows how to combine the spirit of winter magic and the Christmas festivities with warm twinkling lights. A selection of craft, jewellery, art and food will satisfy all your Christmas envies ! Come to St Ives to enjoy a magical winter! Book now your self-catering apartment and experience St Ives during the winter time when the town gets together to prepare Christmas. Our luxury accommodation will be a perfect place to relax before the madness of Christmas and who doesn't enjoy having the whole beach for themselves? If you travel with your four-legged friend, make sure to check the availability of our dog-friendly properties. Originally from Britanny, Helene completed a communication degree before going traveling to Australia and South-East Asia for three years. 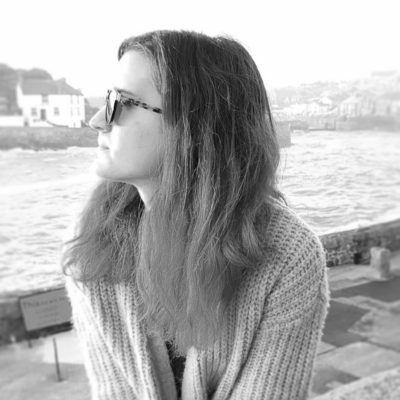 Cornwall naturally became her new home-away-from-home in 2015 and she ran an art gallery for two years in St Ives before joining the Sail Lofts team as a Marketing and Communication executive. She now lives near Helston with her partner Luke, her two cats Casper and Morty and their dog Sid.